This article will cover commercial grease trap problems. Satisfaction from every customer is what all food establishments wish to achieve. The customers’ tastes and choices are what keep them striving to come up with brand new flavors and menus. It’s a never-ending task to keep their clients and haul in more through their food. The ingredients are crucial in attaining this goal. There are food companies that get their ingredients fresh from another state and even another country just to bring in the flavors that their customers come back for. But no matter where these ingredients come from, they are all made of the same thing—plant and animal fat. Fat from plants and animals carry the flavor in each bite. Every time these meats, vegetables, and fruits are prepared, the inherent flavors are sealed in and enhanced. They are also combined with other vegetables, fruits, and meat components to intensify the eating experience. After everything has been consumed to the bone, dishes pile up and kitchen equipments get soiled. Cleaning comes next. When the customers eat in a clean, lovely place with welcoming servers, they always come back. Some even bring their friends and family. In a huge way, the ambience and freshness of the eating venue itself is a huge plus for customers to be satisfied. In the fast-growing food industry that carries a huge badge of satisfied customers on its sash, a crisis worsens. The United States continues to battle the FOG (fats, oils, grease) crisis. FOG overflow frequently comes from the food establishments in every state. As long as the company serves or makes food, it is likely to produce FOG. Because of the need to control the situation, the government has come up with a grease ordinance that requires the strict compliance of every food company in every state. The ordinance will just be sand in the wind if the companies and facilities do not regard it. Every owner of a commercial kitchen is mandated by the ordinance to have a grease trap or a grease interceptor installed within its premise of operation. If the establishment is small, the grease trap can be placed indoors. However, if the establishment is a large one, the grease trap should be built underground, outside the building. The owners should make sure that the grease traps have permits and should be maintained properly on a regular basis. It’s an effort to make especially if the food establishment owner wants to avoid paying large fines and dealing with environmental lawsuits from day one. Many food establishments have stopped their operations because of the excessive FOG that comes from their kitchens.. The ordinance says that grease traps should be pumped out at least four times a year. Other companies have decided to schedule pump out sessions every week for their grease traps so that they can avoid unnecessary delays and annoyances in operations. A food company’s clean reputation is what makes it appealing to the public. When customers see that the facilities and amenities of the establishment are well sanitized and kept that way, more people trust the food that’s served in that place. The ordinance helps the food companies keep their names intact. All they have to do is comply. Commercial grease trap problems are ever present when the food establishment has trouble maintaining the grease trap. The trap may already be worn out or may be very full already, that’s why a FOG overflow happens. Regular inspection should always be done to prevent situations like this. When there is FOG overflow, the FOG is carried through the sewer pipes. It accumulates, solidifies, and sticks to the inner walls of the pipes. Te untreated effluent then backs up into the facilities and the surrounding area. Bacteria are the only reliable solutions to commercial grease trap problems. They consume the FOG and solid wastes until they are gone and while they do this, they also eradicate the bad odors. It’s a wise thing to invest in bacteria for grease trap maintenance. They help the company as they help the environment as well. 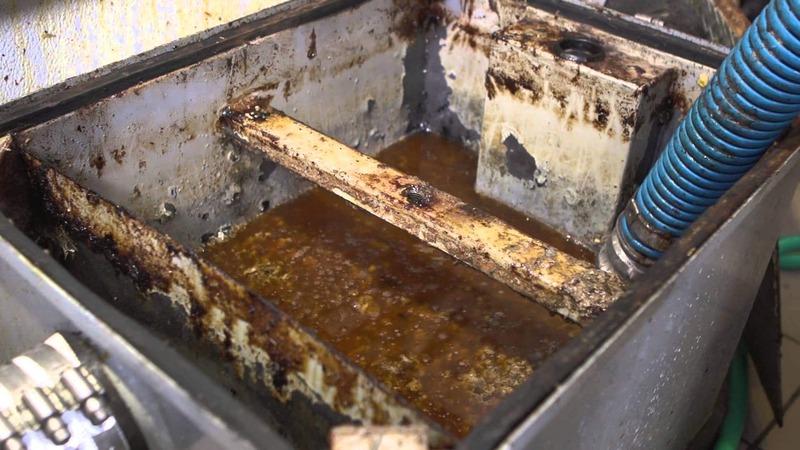 What is the cost to clean a grease trap?